With the Bulk Clone tool, you can now launch up to 50 different Shopify product groups at the same time! First, it is important to remember that you are "cloning" an existing Shopify product. This refers to any product that has been previously launched from the Viralstyle Fulfillment App for Shopify. Note: you cannot "launch a product" from the Bulk Clone dashboard. All products, colors, pricing & settings for the product group you choose to clone will be used for each of the cloned product/groups. Launch a new product group, or be sure the product(s) you're cloning has all settings & preferences in place. You will not be able to adjust any of the products settings during the Bulk Clone process. 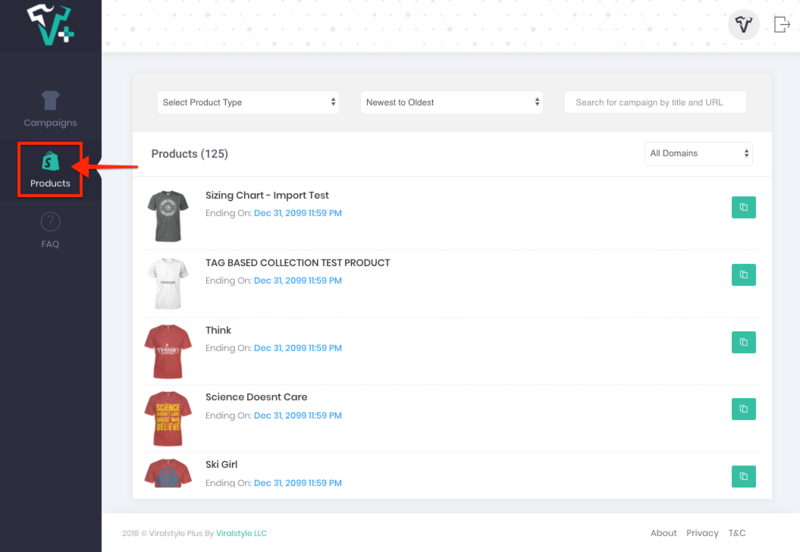 To update any settings for each of the cloned product groups after import, you'll have to open the Shopify product page in your Shopify account for each individual product that needs an update. This will take much time and can be very tedious, but can all be avoided by checking your product settings BEFORE you Bulk Clone! All Bulk Clone FAQ's can be found on the Bulk Clone Dashboard (after logging in). If this is your first time using the Bulk Clone tool, we strongly recommend that you take a minute to review this page before you proceed. To begin, click the "Bulk Create Products" button on the Products page. Next, login to the Bulk Clone Dashboard, using your Viralstyle Account email & password. Be sure that you click on the Shopify Products icon in your menu bar to the left. 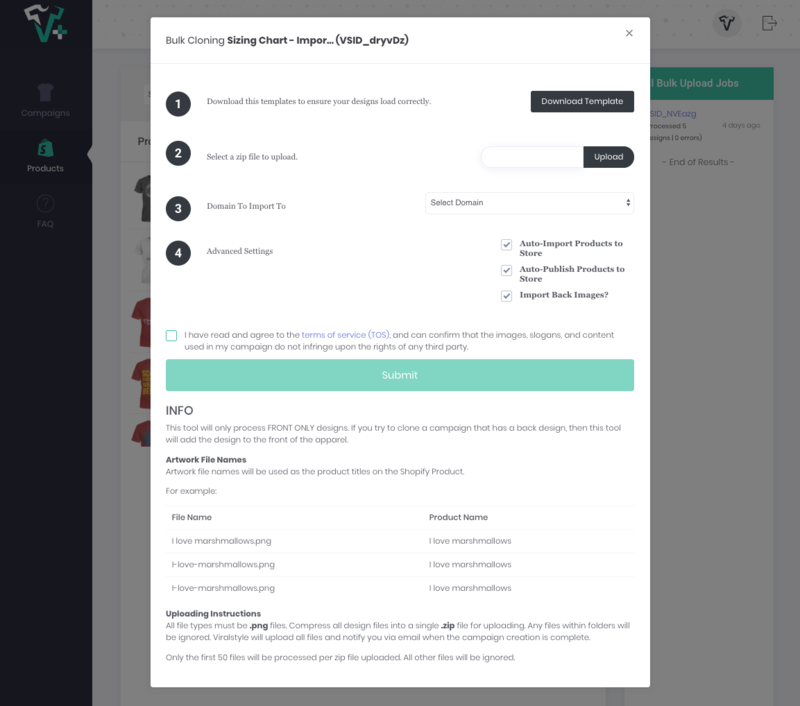 You do not want to clone any Viralstyle.com "campaigns" that you may have launched from the Viralstyle Platform. This is extremely important, otherwise the bulk import will fail! 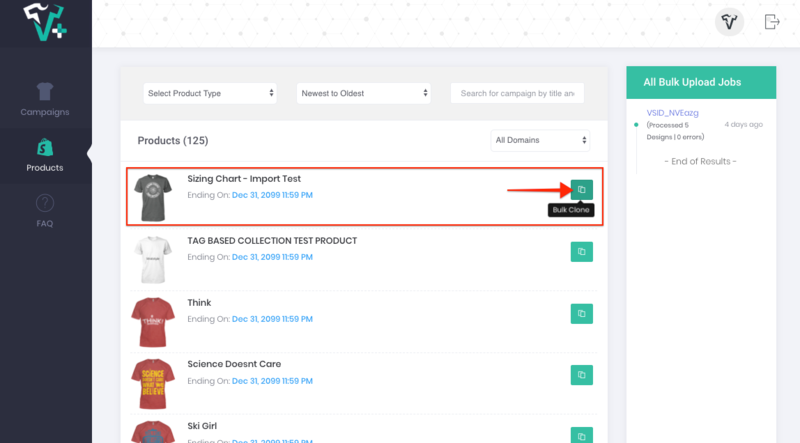 When you are ready to select the product that you'd like to bulk clone, click the button to the right of the product in question. You'll notice that guidelines, terms and other information will pop up. If this is your first time using the Bulk Clone tool, we strongly recommend that you take a minute to review this page before you proceed. Click "Download Template" and use this as a guideline to ensure your designs load correctly. 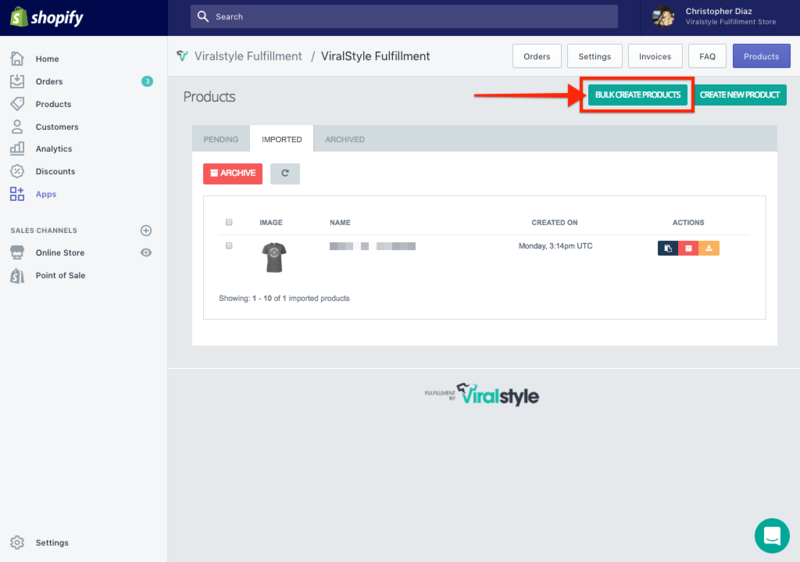 The template you are downloading has been automatically selected by Viralstyle, based on which product you've selected to clone. You cannot use certain templates for certain products, it is important that you only use this template for the 50 product groups that you intend to duplicate during this bulk clone session. 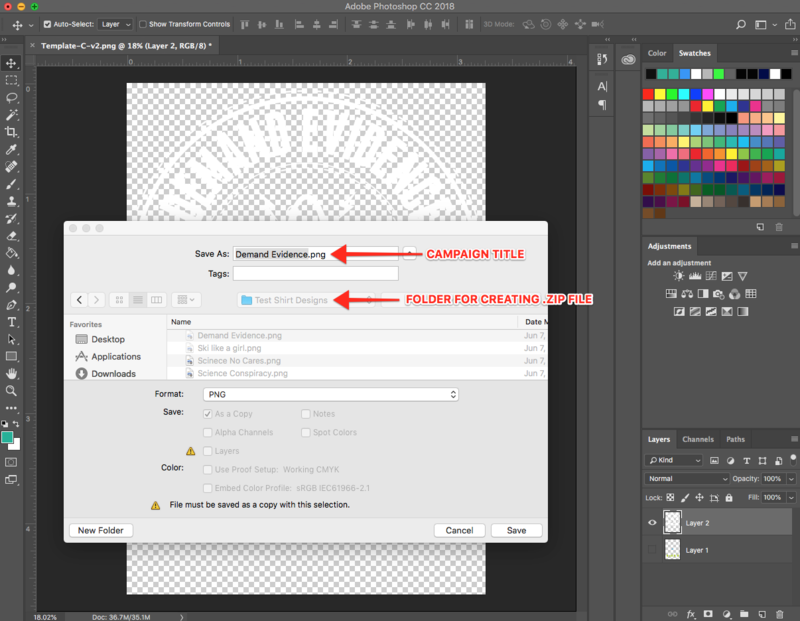 Open the template in Adobe, along with the designs you're going to apply. After adding your design file to the template, adjust the size & location to meet your preferences. The blue line around the border of the template indicates the available print area on the garment. Use this for reference and try to imagine you're adjusting the design on the actual product. Next, be sure to remove the guideline (Layer 1) before saving. The most important part of this step is to remember that the file name, will be the title of this designs product. Here, you can see that I've created a folder called "Test Shirt Designs", this is where I'll select all files when creating my .zip file. Repeat the above steps for all remaining designs. Creating a .zip file is easy, especially if you take our advice from STEP 3 and pre-create a folder specifically for your Bulk Clone Import. Open the folder with all design files that you'd like to use for the Bulk Cloning process. Highlight all files, right click and "Compress"! Here i'm only using 5 files for the example, but you can zip up to 50 files. Once you have created the .zip file, name your .zip so you can easily locate & upload when you're ready for STEP 5. You may have timed out of the Bulk clone Dashboard. In this case, click the "Bulk Create Products" button on the Products page. Select the product that you'd like to bulk clone, click the button to the right of the product in question. Upload the .zip file you'd just created. You'll notice that we give you the same options in your Shopify Settings, that we do here. Please remember that we are not able to make any updates for you after you click the "Submit" button, so it is important you choose these settings wisely. These settings will influence the launch of all 50 products you are cloning. It never hurts to take a second look back before moving forward, it will save you much time! After you have adjusted your Advanced Settings, check the box if you agree to terms & SUBMIT! Checkout this video we've made a guide through the entire process. 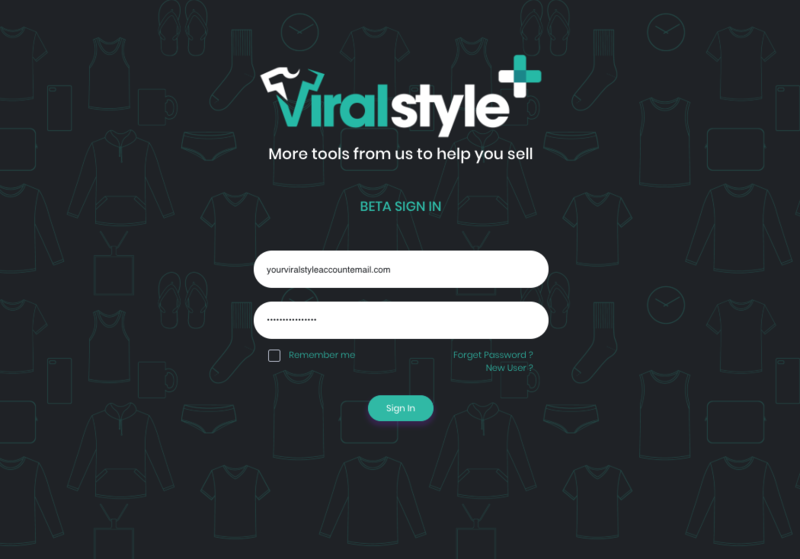 If you have any questions or concerns, please email shopify@viralstyle.com.